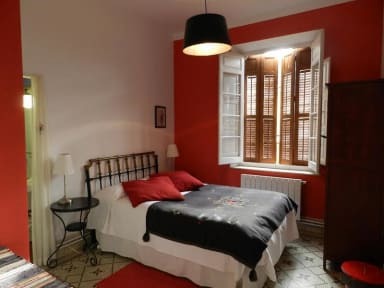 Villa Alicia Guest House is located in the upper part of the centre of Malaga, very close to the Virgen de la Victoria Shrine, facing Gibralfaro Hill and Castle. It has an excellent location and wonderful views, in a quiet area and just 5min walking to main square in Malaga (Plaza de la Merced) where Picassos was born. We are as well not far to the beach, (15min walking). Check out time at 12pm.